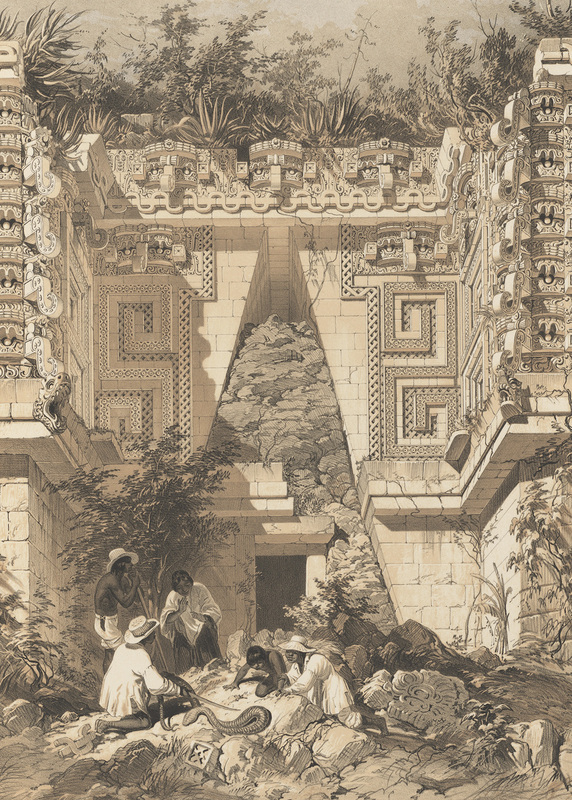 Detail of Archway; Casa del Gobernador, Uxmal, lithograph on stone by A. Picken, based on artwork by Frederick Catherwood, from Catherwood 1844, pl. 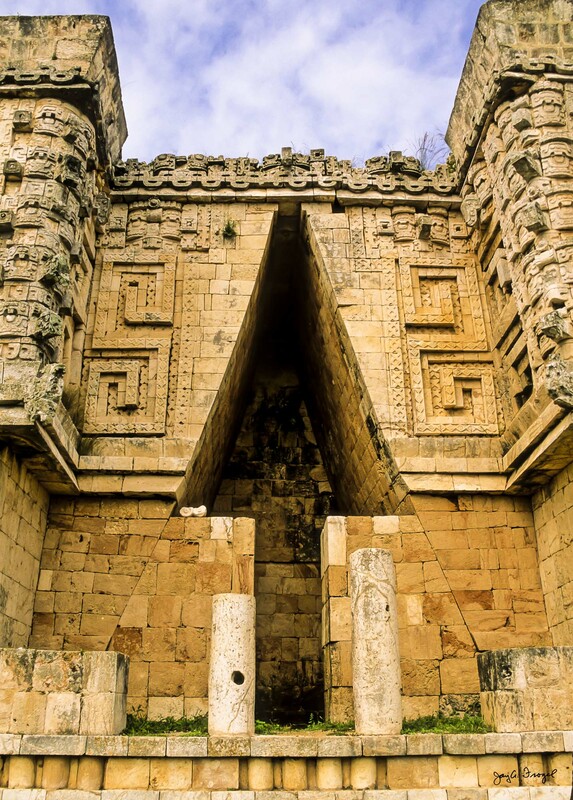 X. Uxmal, Large Arched Entranceway on Casa del Gobernador. Photo: Jay A. Frogel.